Set back off a main thoroughfare that runs through the industrial edge of South Boston (“Southie”), tucked between a Crossfit and a boxing gym, GrandTen Distilling isn’t the easiest place to find, even if you know it’s there. And once you find it, the distillery doesn’t look open, which is what happened when my dad and I showed up this afternoon. 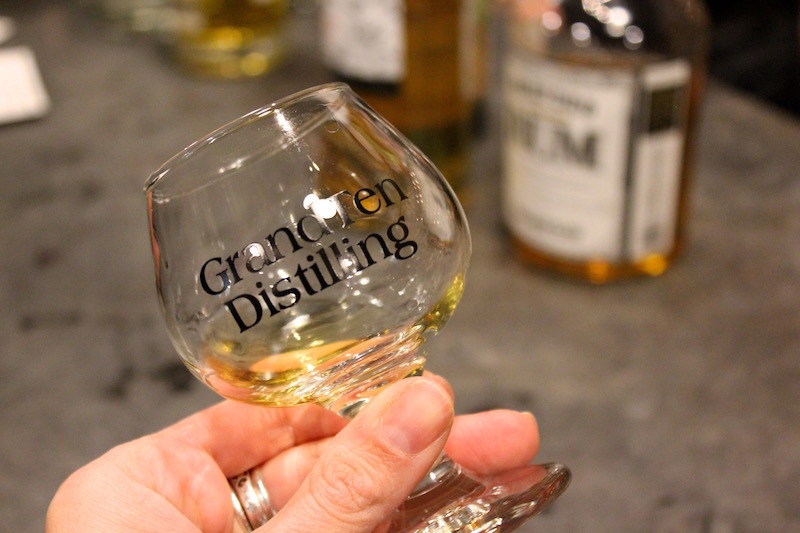 But when we walked through the door, we were met by a lively crowd of about 30 people – mostly groups of 20-something guys in flannel and young couples on dates – all jostling for space around the tasting bar to get a sip of one of GrandTen’s signature spirits. Almost since GrandTen opened in 2012, it’s been on my list of places to take my dad, but it’s taken a while to coordinate a visit given the limited hours – the tasting room is only open on Saturdays between 12 and 4 p.m., with free tours at 1, 2 and 3 p.m. They offer a more formal tour and tasting for $20 on Friday nights at 6:30 p.m.
A small-batch distillery that currently sells only in Massachusetts, Rhode Island, Connecticut, Pennsylvania, and Washington (mostly Seattle) and to a restaurant in the UK, the staff – two full timers, two part-timers and a Husky mix named Heidi – are personally involved in every aspect of the operation from locally sourcing the “botanicals” to labeling the bottles by hand. Our tour was led by Kevin, and, appropriately, started at the still – apparently the Lamborghini of stills – which he referred to affectionately as “Adrian” in honor of its maker, Adolf Adrian Grossheubach (obviously of German lineage). He then led us to the bubbling open fermenting tanks, the simple labeling board and the rows of oak barrels they use for aging – sourced from both larger distilleries and French vineyards – before we got to what we were really there for, tasting the spirits. Although I enjoy a variety of cocktails, I’m not one to drink sprits straight up (the occasional shot not withstanding). But I did mostly enjoy sampling their offerings – five spirits and three liqueurs. Only one really shocked my system – the Fire Puncher Black vodka, which even sounds scary. My dad, though, who has much more drinking experience than me, was impressed with them all. 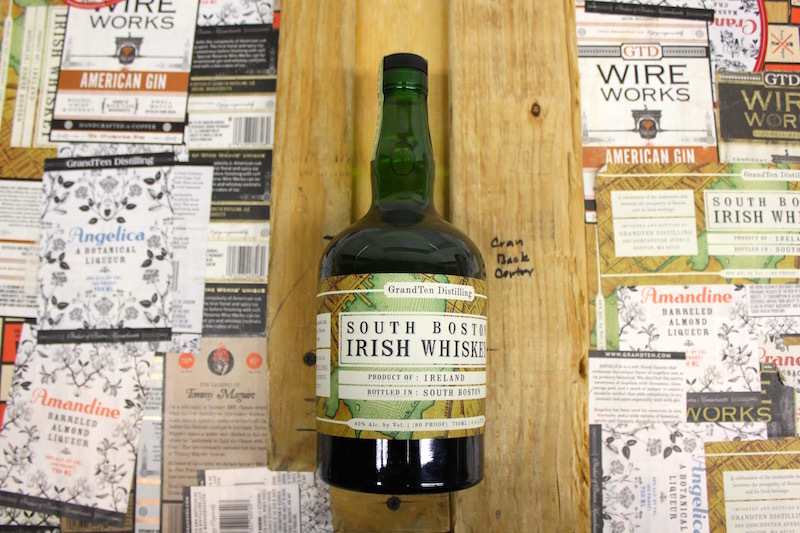 He had a hard time choosing just one to bring back to New Jersey, but settled on a bottle of South Boston Irish Whiskey. Good choice. By car: There is street parking along Dorchester Ave.